With almost one week of Dodger baseball in the books, it’s easy to have gotten caught up in all things Dodgers. So here at DodgersNation, we’ve prepared a look around the NL West to keep you up to date on what’s going on around the division. As it stands, the Dodgers are a 1/2 game behind Arizona for the divisional lead, at 4-1. They are also one of just six teams in the entire league with four wins already. The Diamondbacks currently sit atop the division, but their undefeated record could be a bit misleading. The Diamondbacks are the benefactors of three one-run wins over the Giants and an extra-inning win over the Padres. To be fair, Arizona has faced four of the best pitchers in the division already in Tim Lincecum, Matt Cain, Madison Bumgarner and Cory Luebke. In fact, the Diamondbacks trailed the Giants 6-0 in game three of their series before rattling off seven straight runs to win the game. 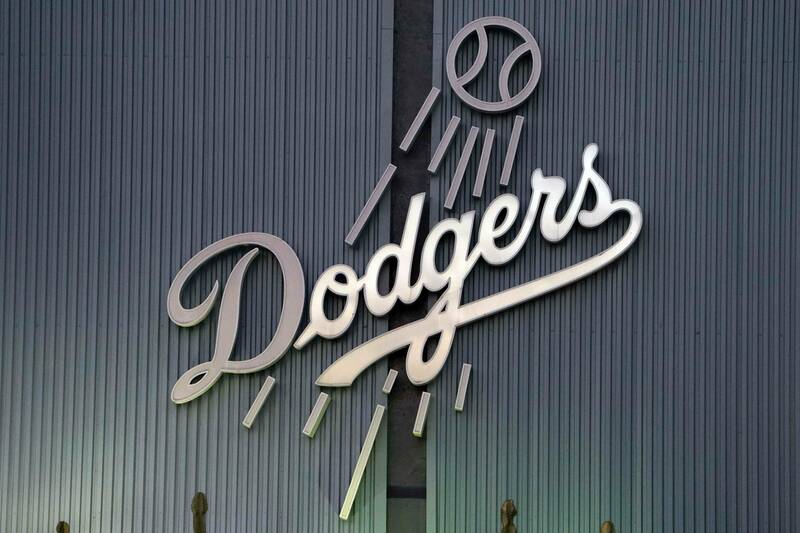 Reason to be worried (as a Dodger fan): Picked by many as the favorite to win the division, a 4-0 start is starting to give credence to the idea that the experts were right. Reason to be optimistic (as a Dodger fan): Gave up 14 runs in three games to a woeful Giants lineup, and as we mentioned above, they’ve yet to blow anyone out of the water. Biggest contributor: Chris Young, hitting .313 with 2 home runs and 6 RBIs. Biggest disappointment: Jason Kubel, just 1-for-12 (.083) thus far this season with five strikeouts. Biggest surprise: Trevor Cahill, allowed just two hits in six innings of work against the Giants. “Surprise” might be the wrong word here, but it’s comforting for D-Backs’ fans to see Cahill get off to a good start. It can’t be fun as a Giants fan to watch a three-game series pitched by Lincecum, Bumgarner and Cain and see your team go 0-3. As a Dodger fan, however, it doesn’t get much better. The Giants did rebound to blow out Colorado in the first of three games at Coors Field, 7-0. Reason to be worried (as a Dodger fan): After ranking second to last in the league in runs per game in 2011 (3.51), the Giants have begun 2012 on a tear, scoring 21 runs in the first four games. They have also played all four games this season on the road. Reason to be optimistic (as a Dodger fan): We all know this lineup can’t maintain that type of run production, so it’s nice to see our enemies from the North begin the season 1-3 despite the increased production. Biggest contributor: Pablo Sandoval, hitting .375 with 2 home runs and 6 RBIs. He currently leads the Giants in every major statistical category. Biggest disappointment: Matt Cain, after giving him a major extension, Cain gave up five earned runs in just 6.0 innings, including two home runs. Biggest surprise: Barry Zito, pitched a complete game shutout against Colorado in which he allowed just four hits and didn’t walk a batter. Somehow he also managed to strikeout four batters as well. Frustrating might be the best word to describe the current state of the Rockies four games into the season. After winning the opener in Houston against the reigning worst team in the league, the Rockies proceeded to be outscored 17-5 in their next three games, losing two to the Astros and one to the Giants. Reason to be worried (as a Dodger fan): There’s still a lot of pop in this lineup if Colorado can ever get things on track. Reason to be optimistic (as a Dodger fan): A 1-3 record with the schedule thus far is alarming for folks in Denver. Biggest contributor: Michael Cuddyer, hitting .333 with 10 total bases. Biggest disappointment: Troy Tulowitzki, hitting just .214 after coming back from an elbow injury in spring training. Biggest surprise: Juan Nicasio, pitched 7 innings, allowing just one run while striking out four. Coming off a dreadful 2011, there wasn’t much room for hope entering the 2012 season in San Diego. Unfortunately, all the first week of the season has done is confirm those suspicions. After nearly being swept at home by the Dodgers, the Padres rebounded to take the fourth game of the season before their second extra-inning loss of the season against Arizona. Reason to be worried (as a Dodger fan): Don’t really think one exists. Reason to be optimistic (as a Dodger fan): Having already taken three of four from San Diego at Petco Park, the Dodgers picked up right where they left off last season. Biggest contributor: Clayton Richard, pitched 7.0 innings, allowing just two hits in the fourth game against L.A.
Biggest disappointment: The entire lineup, with no starter hitting over .238 this season. Biggest surprise: Edinson Volquez, has struck out 15 batters in just 12 innings this season while maintaining a 3.00 ERA. PreviousWeek In Review – Hot & Cold, Opening Day, Series Notes, More.